I’ve had a lot of different configurations over the years, here’s just a few pics. 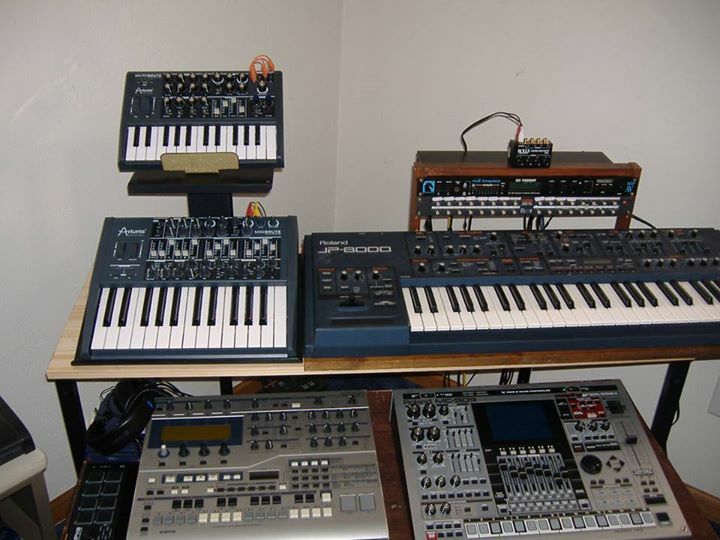 You’ll notice that the JP-8000 is pretty much a constant through the years for me. 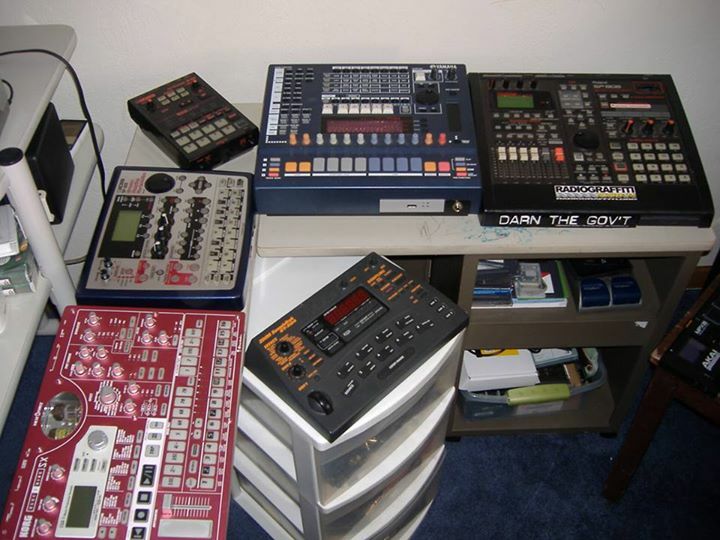 I’ve also always had either the MC-307 or MC-909 because I’d really be lost without an easy to use sequencer. 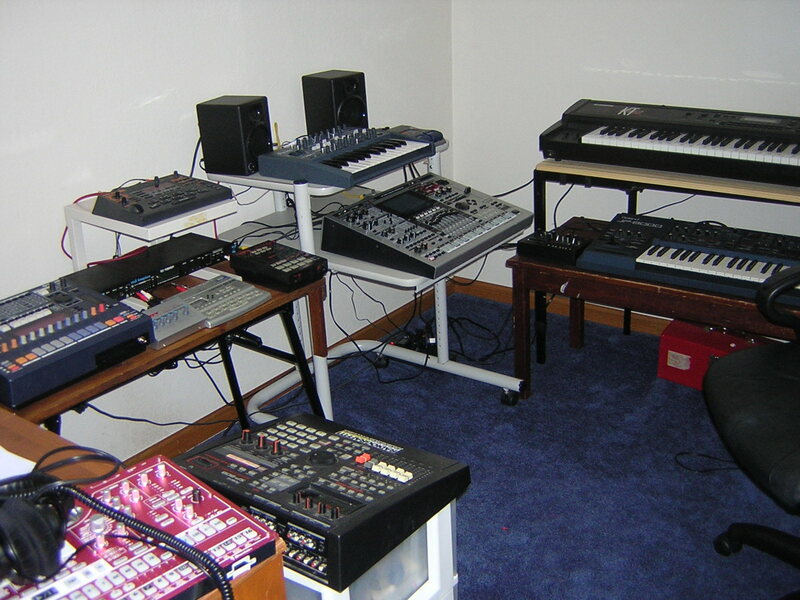 And for some reason the SP-808 has always been there. Defies all logic, but still. ha! Here’s where I’m at today after a significant sell off to purchase some higher end pieces I’ve always wanted. 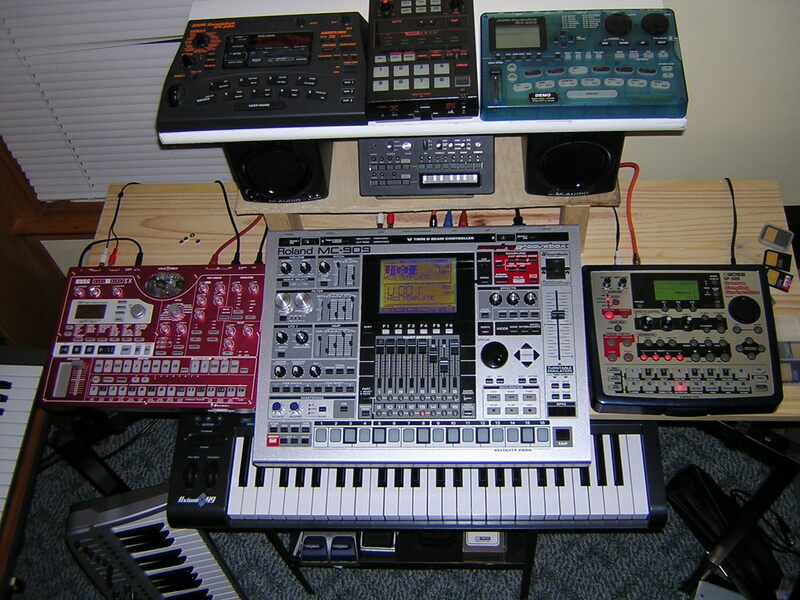 I guess about the only things I’d really want to add to this would be an Andromeda A6 someday and maybe a Midibox SID. I would say I’m through my phase of having lots of cheap noisemakers and samplers on hand. Really starting to appreciate having just a few very deep boxes. 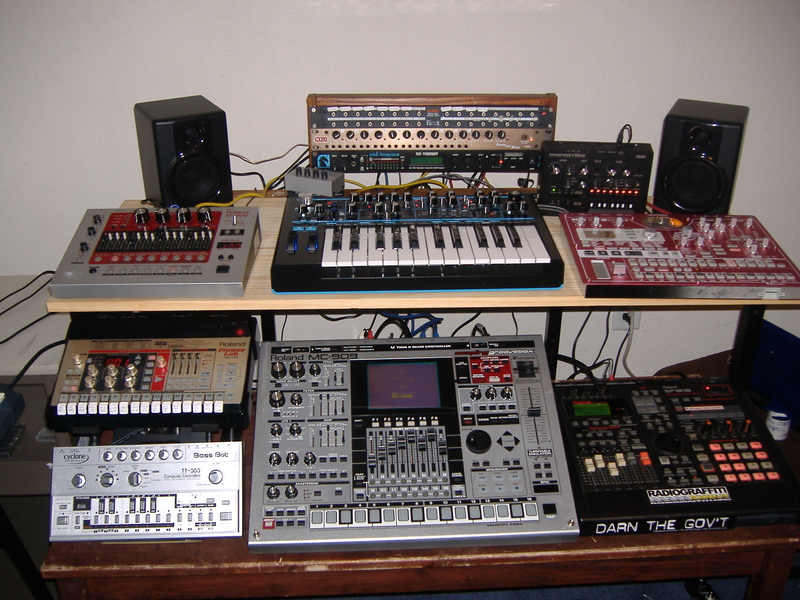 This one is just prior to the big sell off of ’15 😛 Things were getting a little hectic with a couple of boards out of camera view as well (Minibrute, JP8000). 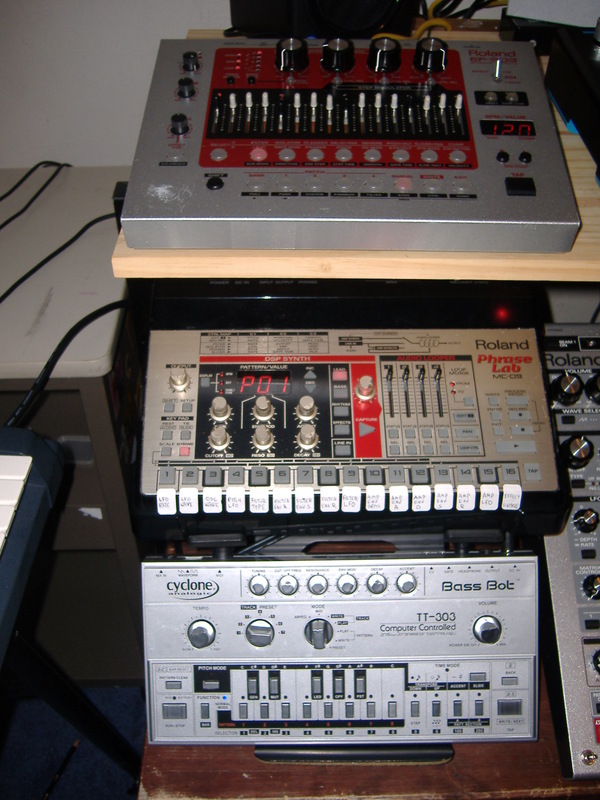 This is the “Tower Of Wannabe Acid Power” (the MC-09 is actually better than a lot of people give it credit for!) This was fun for a bit but nothing compares to the FR-777. 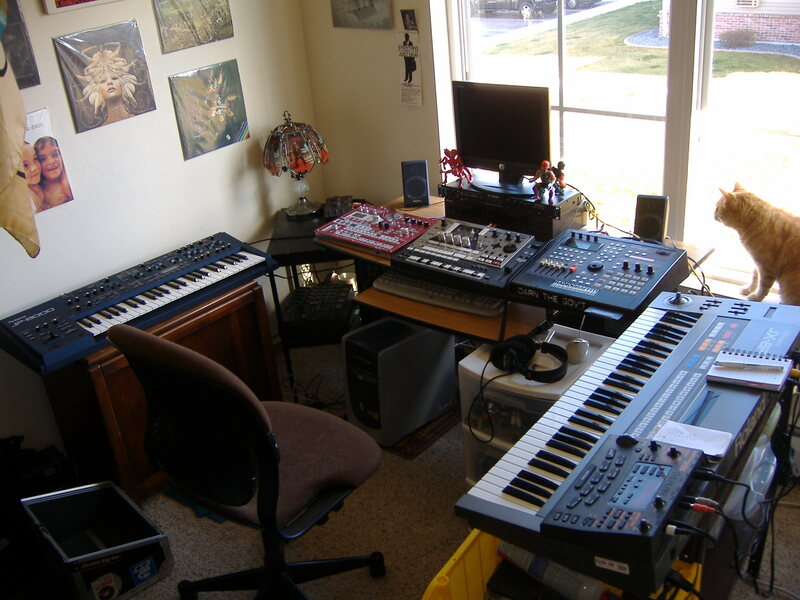 This was one of my favorite setups, from back in 2013. 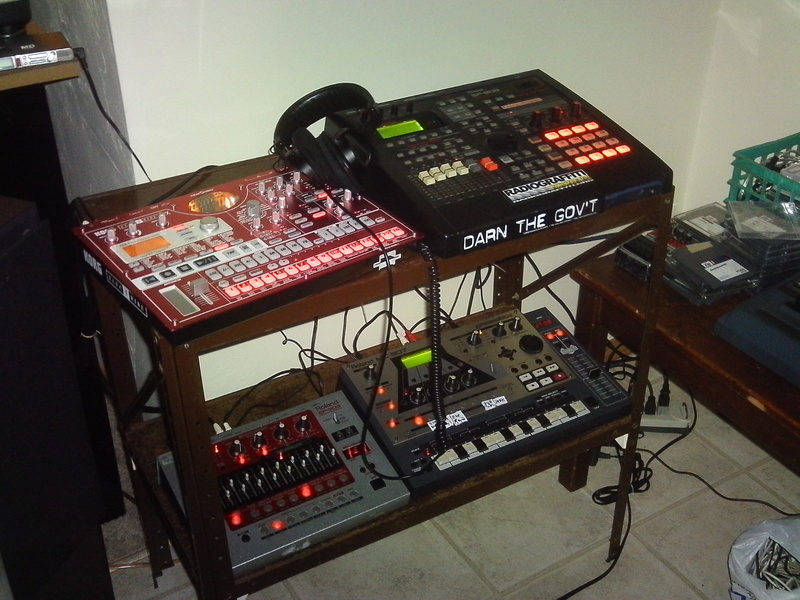 …and a bit earlier in 2013 when I put the MC-909 and RS-7000 head to head for a few months. My findings can be read <here>. And this one is a couple of sell-offs ago, right before most of these were shipped out door (that’s why no cords :)) I used to have a thing for desktop samplers. 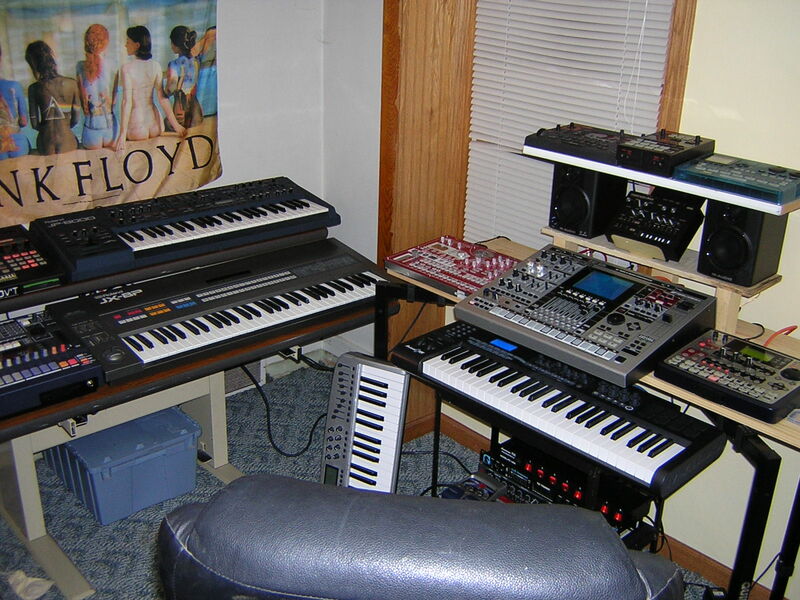 Been through 4 SU-700’s and 3 SP-505’s, among others. Back to 2010 and another of my favorite configurations. Had a nice big window that let in lots of natural light. Really miss that JX8P sometimes. Not sure where all of my older pics are at the moment. Things were a lot more DJ oriented from, say, 2010 and earlier though. Will post some more up here eventually. Here’s one, anyway.